When we decided to feature teaching jobs on this website we didn't think it would be popular, but it seems we were wrong. Consequently, we decided to create a new website dedicated to teaching vacancies for ESL teachers. That website, www.eslcareers.com is now online and is where all our teaching jobs will be featued in future. To visit the website, just click the button below. 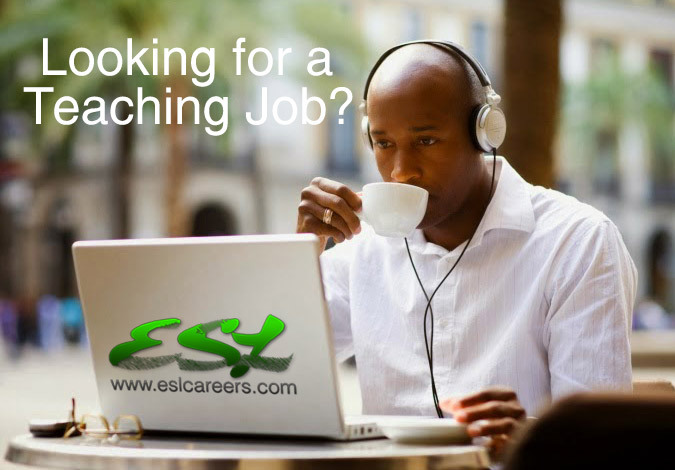 If you are an employer with a job vacancy for an English teacher you'd like to advertise, you can list it on www.eslcareers.com for free under our launch offer. To advertise your teaching vacancies, please go to our new teaching jobs website www.eslcareers.com and visit the 'Employers' section. You'll need to create an account, but this is done for you when you post your first job. To visit eslcareers.com, just click the button below.